The newest version of Ubuntu 13.10 with codename “Saucy Salamander” was released few days ago by canonical and come with many features as in the previous releases. It need 6 long months in development the Ubuntu 13.10 Saucy Salamander is finally available to download. 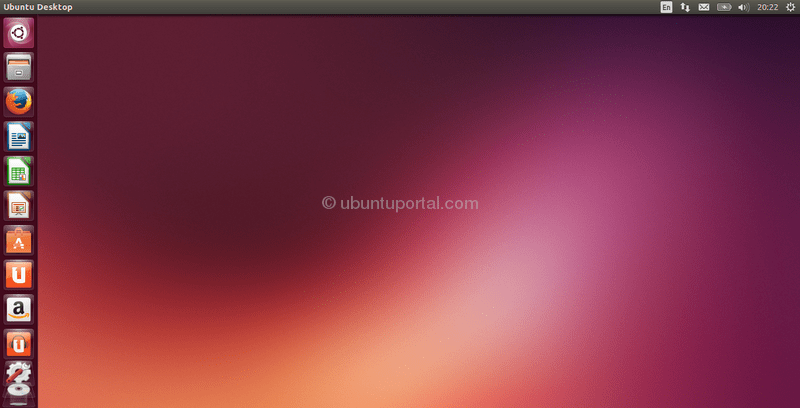 What’s interesting about new Ubuntu 13.10 Saucy Salamander? One of the key components of the Unity desktop shell is the Dash, the desktop overlay that enables the user to browse and search through a massive amount of data sources ranging from local folders, locally-stored music tracks to Wikipedia and deviantART due to the newly-implemented Smart Scopes Project. The Dash can be expanded with custom views, called Scopes (formerly Lenses), that extend it with additional information. Since the initial introduction of the Dash, the search system has gradually evolved to operate like a kind of virtual storefront. In response to certain queries, it will recommend music from the Ubuntu One Music Store and products from Amazon, generating affiliate revenue for Canonical. In Ubuntu 13.10 Saucy Salamander, theUnity Dash has been imprinted with the capacity of mixing one of the most important and useful data sources, permitting search actions in a matter of seconds. However, you can try Mir by following these instructions from the Ubuntu Wiki. Ubuntu 13.10 Saucy salamander includes the Ubuntu Linux Kernel 3.11.0-12.19 based on the upstream Linux Kernel 3.11.3 , Xorg server 1.14.3 and Mesa 9.2.1. Ubuntu 13.10 ships with GNOME 3.8 for the most part, the only GNOME 3.6 packages being Epiphany, GNOME Terminal and GNOME System Settings (as well as GNOME Panel, but that’s not installed by default). New default wallpaper which follows the same colors scheme as the previous ones. 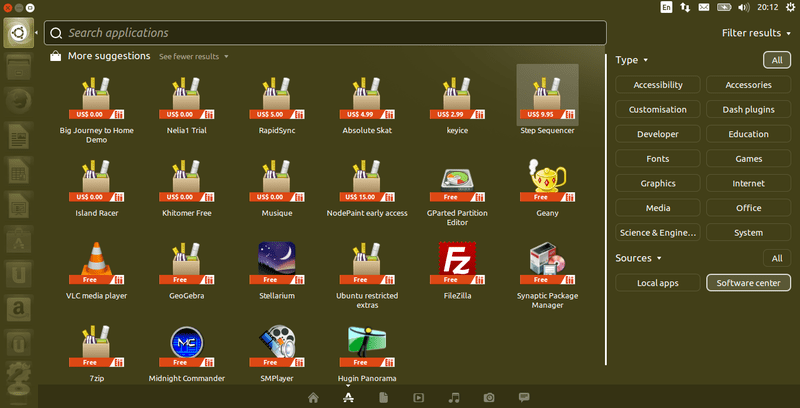 Theme improvements such as dark toolbars for GNOME 3 applications (Nautilus, Evince, Font Viewer, GNOME Clocks, GNOME Documents, Epiphany etc.